Fashionable ladies competition shirt with long sleeves and white cotton stand-up collar. Made in materialmix with perforated fabric at the sides and in the shoulder area. With covered zipper stay. Made of breathable, sweat-absorbent functional fabric. 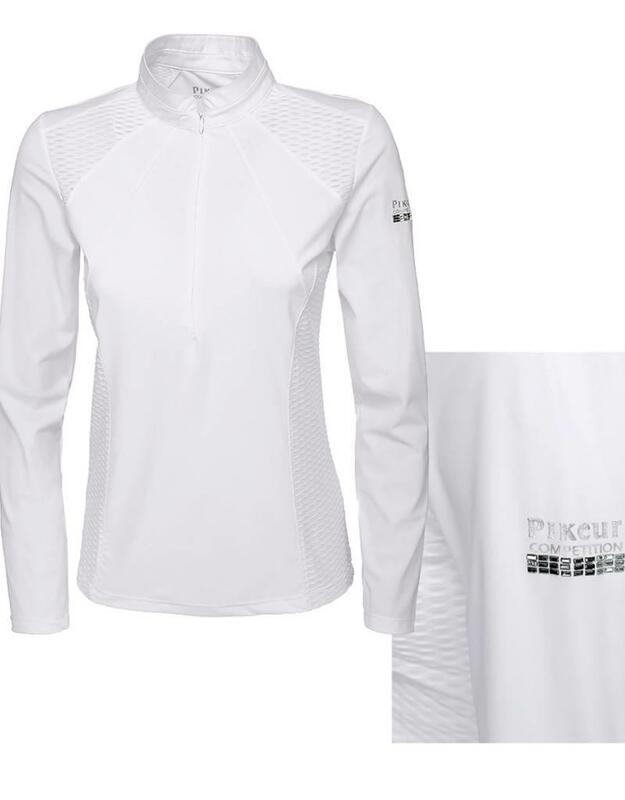 With Pikeur-competition-metallic-print with crystal-applications on the left sleeve. Material: 76% polyamide, 24% elasthane. From the current Winter Collection 2018/2019 from Pikeur.